Showcased way back in the 2016 Auto Expo, the Benelli TRK 502 has finally reached the Indian shores. 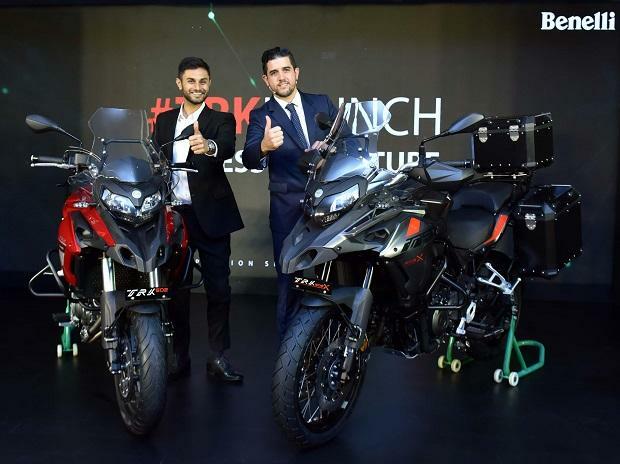 Benelli has revamped their Indian operations with a new partnership with the Mahavir Group and the Benelli TRK 502 is the first range of motorcycles to come out from their stable. 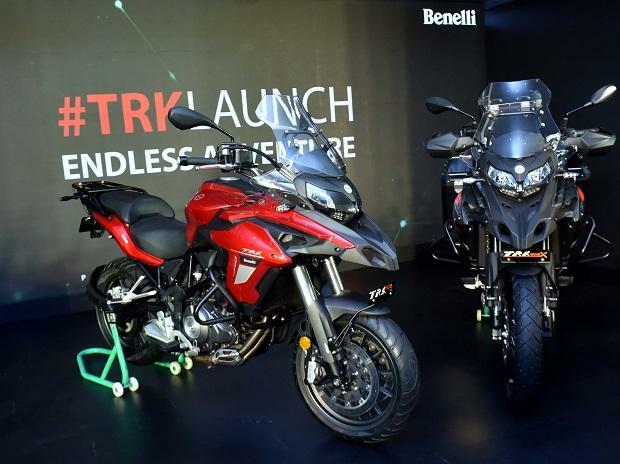 The Benelli TRK 502 and TRK 502X are perhaps the most affordable ADVS in the 500cc twin-cylinder mid-range segment. Benelli is importing the bikes via the CKD (completely knocked down) route, which has helped in keeping a competitive price tag. Built in a trademark Benelli steel trellis frame, the TRK 502 range is powered by a twin-cylinder, liquid-cooled, four-stroke, 500cc, DOHC engine with 4-valves per cylinder. The fuel-injected motor churns out 47.5PS of power at 8500rpm, with peak torque of 46Nm available at 6000rpm. The engine comes mated to a six-speed gearbox is offered along with a gear shift indicator, which enables you to get into the right gear for the right situation. Up front, both models come with 50mm upside down forks, while the rear gets a vertically mounted adjustable mono-shock. The TRK 502 edition which is meant for city riding and occasional highway cruising gets 17-inch alloy wheels that come wrapped with 120/70 front tyres and 160/60 rear tyres from Pirelli. The TRK 502X, on the other hand, comes adventure ready with spoked rims and shod with the super sticky Metzelers. A 19 inch 110/80 front tyres – and 17inch 150/70 – at the rear. Both, the TRK 502 and TRK 502X come with switchable ABS and the braking section is handled by twin 320mm floating discs with a 2-piston calliper at the front and a single 260mm disc with one piston calliper at the rear. The TRK 502 range is available in 3 colour options – Red, White and Graphite Grey. While the TRK 502 is priced at Rs 5 lakh, the adventure-ready TRK 502X comes at Rs 5.4 lakh (all prices ex-showroom Delhi). While deliveries for both the bikes will commence in two months, online bookings have already begun and one has to pay a booking amount of Rs 10,000 to book either of the two variants. As a limited period offer, the company is offering Rs 10,000 worth Benelli voucher to purchase accessories and apparels from the showroom at the time of delivery. While the bikes are definitely not meant for high-speed performance, the TRK 502 and 502X are great for long-distance touring. The upright seating position,a 20-litre fuel tank and tall windscreens mean that long distance travelling won't be much of a problem. 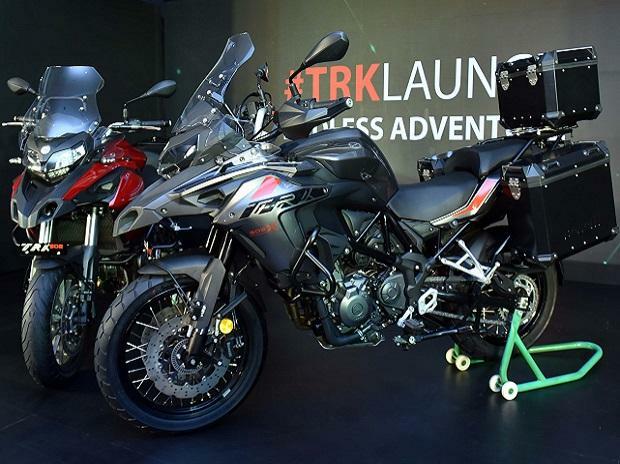 Both the bikes also get panniers and top box as an optional accessory and the bikes compete with the likes of Kawasaki Versys 650 and Suzuki V-Strom 650XT in the mid-range adventure tourer segment. The TRK 502 range is available in 3 colour options – Red, White and Graphite Grey. While the TRK 502 is priced at Rs 5,00,000,the adventure-ready TRK 502X comes at Rs 5,40,000 (all prices ex-showroom Delhi).